Arbroath is famous for some pretty impressive things. Arbroath Abbey and the Declaration of Independence, Smokies, and of course presenter of the absolutely sensational 90’s tv show Gamesmaster, Dominik Diamond. We now have another thing we can add to that list. 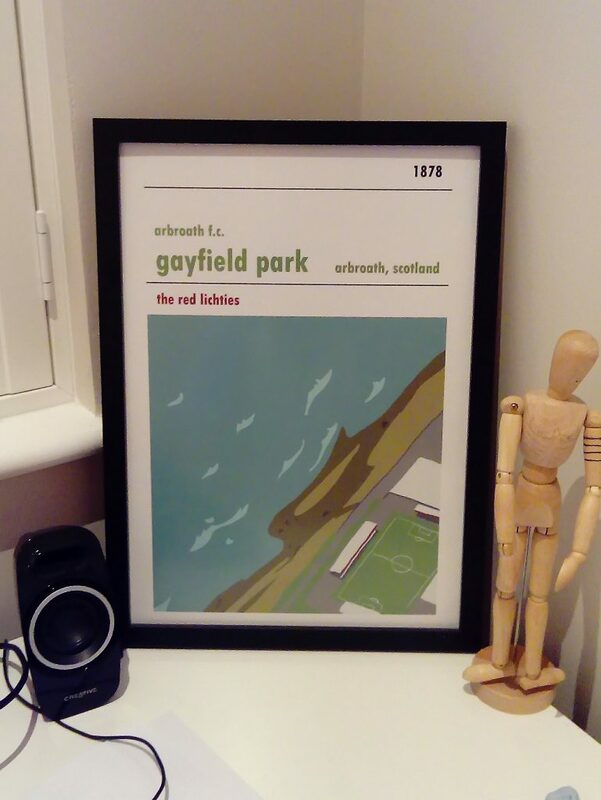 Our Gayfield Park print. Ok, ok. It’s maybe not up there with Arbroath’s other fantastic exports but it is at least giving it a damn good throw of the dice. 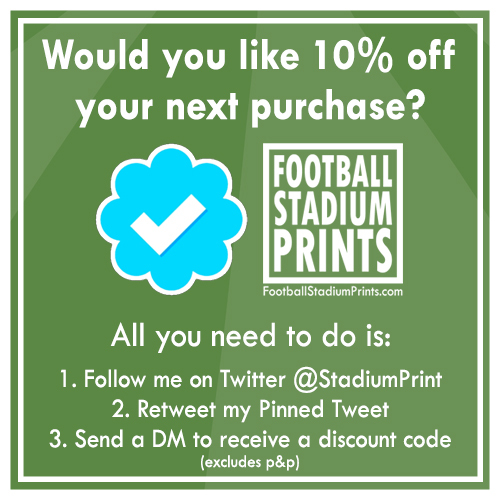 30x40cm Gayfield Park print in a frame.